That’s where I first fell in love with Parmesan truffle fries. They were bursting with flavor, and I immediately knew that I wanted had to have MORE. Unfortunately, eating out is not something we do regularly, so I had to figure out how to feed this new hangup I had just just acquired. A little searching led me to this great post from Leanne at Around the Table, where she describes a great way to duplicate the flavor I had fallen in love with. I’ve used her method several times ever since. The recipe seems to have left out the amount of truffle oil, so I add a tablespoon or more when tossing in the Parm. Now, for the reused baked potato part. I had some leftover baked potatoes in the fridge and wondered if they could be transformed from “normal” potatoes into the aforementioned crazy-good recipe. I left out the first few steps, cut the potatoes into cube-like bits, and threw them onto the hot pan at 450° for about 20 min. 2 large (or about 5 small) baked and refrigerated russet potatoes (just enough to cover the bottom of a 9×13 baking pan. Turn oven to 450° and put in a foil lined baking dish (I use glass) to preheat for about 5 min. 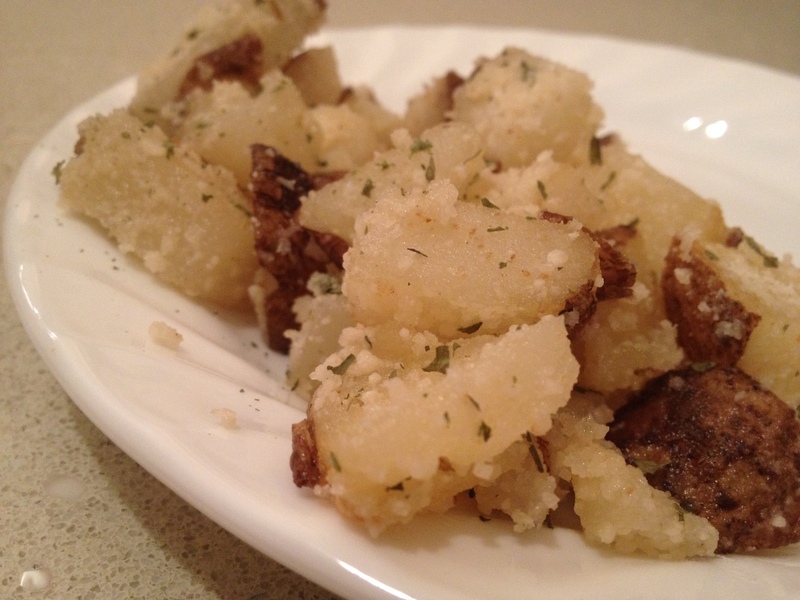 Cut potatoes into cubes and toss in bowl with olive oil. Pull baking dish from oven and using a slotted spoon (to leave behind the extra oil) put potatoes into the dish. Top with a light dusting of garlic powder. Cook for about 20 minutes, stirring about halfway through. Keep them in longer if you want them crispier. After removing from oven, toss with Parmesan, parsley, salt, and truffle oil. Drizzle more oil or add Parm to taste. Mama’s Bank Account is one book that’s dear to my heart. It’s an account of a young girl living with her Norwegian family in San Francisco, and most of the stories center around her Mama. My mother read it to me when I was a little girl, and then I poured over the pages again with my little family a few years ago. While I have to admit that this story has a bit of a female bent, my guys liked it really well–laughed on cue, and looked introspective at all the right parts. 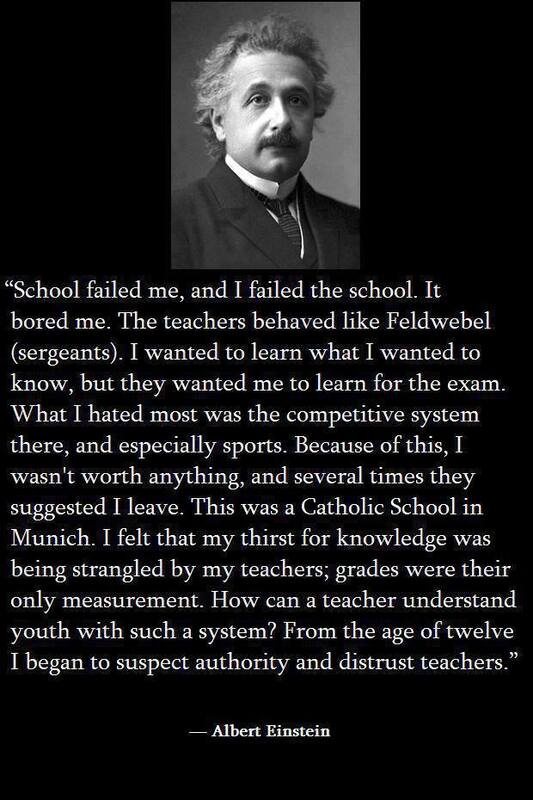 This is an older story, but I can’t see it’s morals going out of style any time soon. But now we come to the sad part. I had always thought that this was based on a true story, that Mama was really out there some where (or was). And in the highest pedestals of my little mind, there sat Mama. After rereading the book as an adult, I did some research and found out that this wasn’t exactly true, and I have to tell you: that is one piece of information that I could have lived without. My literary bubble was busted. Fortunately, your kids don’t need to know that, and it doesn’t change the fact that this is a worthwhile read. I do want to bring up the fact that there is an alcohol reference, in case it bothers anyone. Fortunately, it’s very understandable given the time period and culture. You can find Mama’s Bank account here. There are newer versions as well, but I don’t like the covers as well. Call me OCD, I’m just funny about those things. This is an anonymous quote I found some time ago, and have revisited it as I’m thinking about what I want to make of my new year…. It was one of the hottest and most humid Kentucky summers in history, with heat warnings becoming an every day event–unbearable. She had a house full of young kids. While I realize that A/C is a luxury as well, I couldn’t believe what I was hearing. “We don’t really have TV”, my son has told many a shocked face. While that may not be true exactly, what he’s trying to express is that we don’t subscribe to cable, satellite or anything like that. We do actually HAVE a television, we just don’t have the bill that goes with it. It started about 12 years ago when we were dirt poor. We had the satellite service shut off, and after not having that bill for awhile, we decided we don’t want it back. Like a bum boyfriend, you wonder why you didn’t break off the relationship sooner. Now even though we could conceivably pay for service again, we have simply chosen not to. We’ve realized that we don’t need television. I imagine that some poor reader out there has chocked on breakfast. To those who have had some sort of service all along, this may seem inconceivable. To most Americans, the hum of the television is the background music to everyday life. But here’s a newsflash: You don’t really need television either. Also, if you are flexible, you can still watch TV, without the bill. As I mentioned, although we don’t have any service, we do own a television. 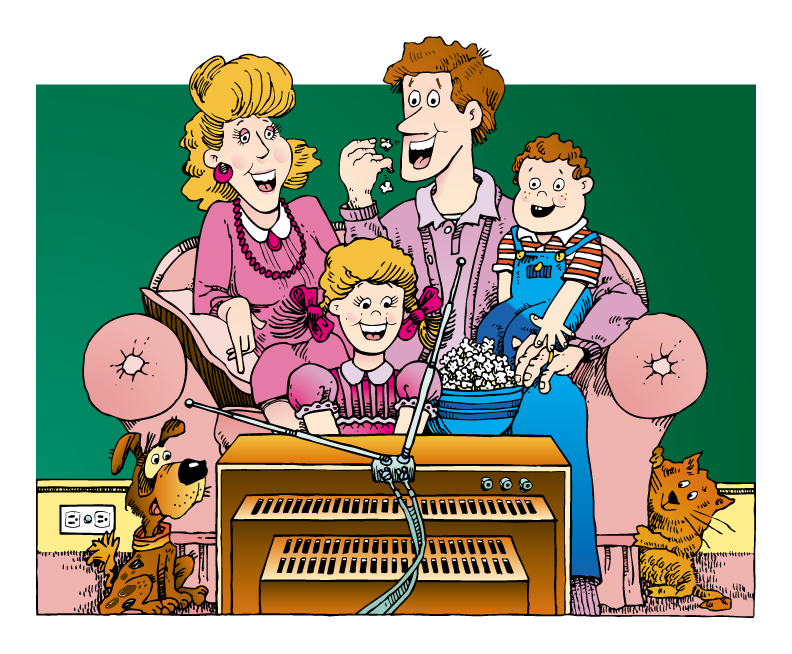 We can hook up a laptop and watch all kinds of shows via hulu.com–you’d be surprised at everything that’s available on there, especially kid’s shows. Some networks stream their latest episodes online, too. Duck Dynasty anyone? Many of our favorite shows air on HGTV and the Travel Channel (House Hunters Internatonal, for example). Now, their parent company has launched Ulive.com where you can watch their shows for free. Your local library can also be a good source for media. Some libraries carry whole seasons of popular shows, and many of the newest movies. If they don’t have something you want, most libraries will allow you to put in a special request. They may purchase it or borrow it from another library. Still, because it’s not as simple as sitting on the couch and pushing a button on the remote, we watch less TV than the average family. One boy asked my husband, “If you don’t watch TV, WHAT DO YOU DO?” Well, I guess we are old fashioned. We do weird things like talking to each other and playing games, or getting together with friends. We look for new places to explore, or some new festival or activity to try. Instead of paying to watch sports, my husband and son went to a local hockey game and got good seats for less than what it would cost for a month of cable. We want to find ways to get out there and live life, not just watch someone else do it. This was the last commandment that Jesus gave to his friends before he left this earth. In America, God has seemingly eliminated the first step for us. Instead of going to the world, the world comes practically to our doorstep. I look around me, especially in the larger cities, and everywhere I see people that have come in from every part of the globe. And although the first part has been taken care of for us, we still neglect the responsibility. We still don’t preach the Gospel. And yes, maybe many don’t want to hear- but shouldn’t we be salt and light? 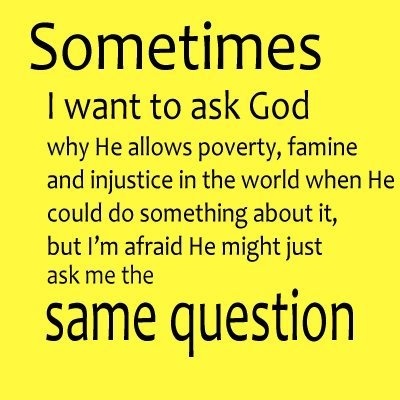 Why are we missing the opportunity to share the love of God with them, will that not tell the good news? There is a magnificent story in Marie Chapian’s book Of Whom the World Was Not Worthy. The book told of the sufferings of the true church in Yugoslavia where so much wrong has been perpetrated by the politicized ecclesiastical hierarchy. That which has gone on in the name of Christ for the enriching and empowering of corrupt church officials has been a terrible affront to decency. Now that we’ve been in Colorado over two months, I’ll testify that this state is one humungous playground. And it’s a good thing- the people here love the outdoors. They thrive on fresh mountain air. Opportunities to sniff this goodness abound. Even in the middle of the big city of Denver, there’s beautiful park space, and young people can be found taking walks or playing football at lunchtime. In the suburbs, there are huge open spaces planned right in- the one near us is about 40 acres. There you can enjoy the playground, or paddle boats while quacking at the ducks in the lake. You can walk or take a bike path–all the way into Boulder if you’d like! 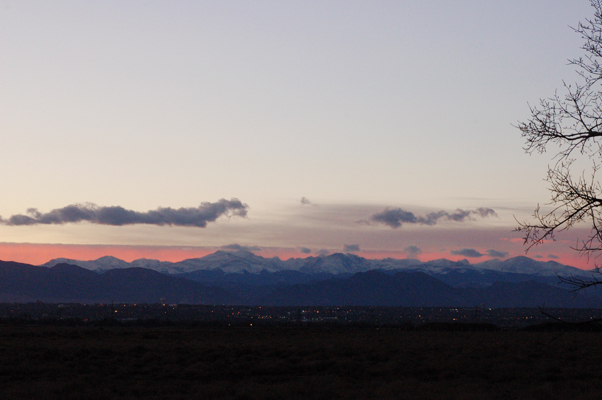 But then there’s the mountains. Nothing like them, and no limit to the activities to be found there. Snowshoeing, skiing/boarding, hiking, and more. Recently I found out that you can even drive a dog sled! 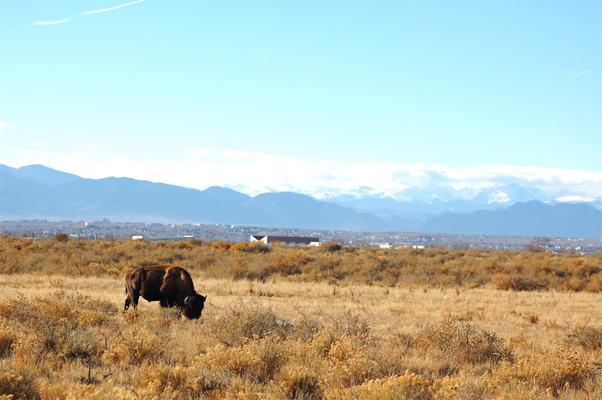 One of the places we like most near home is the Rocky Mountain Arsenal wildlife refuge. (That’s actually what’s shown in the picture above) This wonderful preserve just about 10 miles from us, is home to so many different kinds of animals. The highlight for me are the many eagles that come to spend the winter there. Bald and golden, you can find these majestic birds sitting together on the ice or in the trees. As you drive through you can watch as the little birds fly from one bison’s lumpy back to the next. You can chatter back to the little prairie dogs who pop out of their homes to scold you. A mule deer might be watching you from behind some brush just a few feet away as he nibbles on his dinner. There are some areas where you can get out and hike the trails here. One evening as I knelt down in the grass along the road to take a few landscapes, I heard the eerie sound of a coyote calling to his friends…and then their answer. After a few minutes I hopped back in the car and we drove down the road a bit. Like a flash, a coyote darted across the road in front of us. Looking to our right we could see the herd of deer he had been stalking. The huge buck who had apparently driven him away was watching to make sure he wouldn’t return. What a wild and awesome state we’ve come to. It’s difficult for me to believe that all of this beauty, all of this wonder is all around us. Hard to believe this is all my big backyard.